Born in 1936 in Newburgh, N.Y., the artist became interested in drawing at an early age, but, as many of us do, later took up something “practical” (engineering), and went to work in industry. 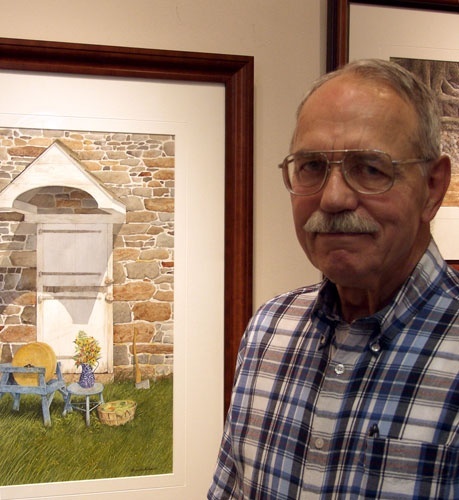 Although he continued drawing, art did not seriously enter his life until 1976, when his wife, Terry, perhaps recognizing something in him, enrolled him in a class taught by watercolorist William Webber. Though business commitments permitted him to attend only a dozen classes, these were enough to permanently open the door to art. 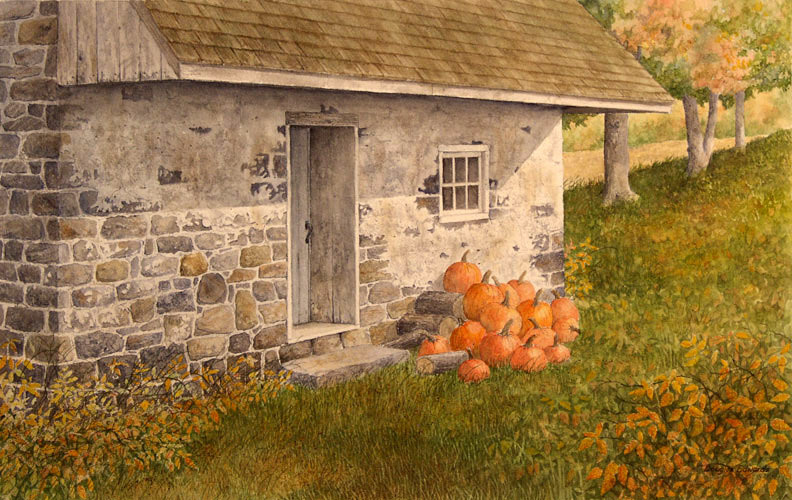 The major thrust of the artist’s work lies in capturing the essential feelings of strength, independence and even loneliness that may be evoked by the disappearing scenes of rural America, and especially of rural Pennsylvania. To the artist, the fields, woods, steams and mountains join with the functional, pleasing beauty of the sturdy barns, houses and outbuildings built by earlier Americans to form a unique portrait of a portion of the nation as it is… and was. The farms are visual testimony to the intelligence, flexibility and sense of balance that lies within human beings as these structures seem not to intrude upon the land, but to be a part of it. Mr. Edwards and his wife, Terry, a weaver and lace maker, live in Orrtanna, Pennsylvania. They have four grown children and twelve grandchildren scattered from California to the Carolinas to England.